As Kelowna continues to grow as a culinary destination the food truck offerings multiply as well. Every year we see new vendors opening their mobile windows around the city to serve delicious bites that will satisfy every taste bud. A bonus for a foodie like me is that I can bring my dog Grace along for dinner or lunch because we’re enjoying every bite while dining outside. Once a popular farm-to-table restaurant in Kelowna, the Dosanj family sold their brick and mortar restaurant to travel around the world and around the city in their new food trailer. Serving up tasty farm-to-table Indian food at rotating locations in downtown Kelowna, the Kelowna Farmers Market, and various other stops around the city, they offer both gluten-free and vegetarian choices. If you haven&apos;t tried it, I recommend their Jhal Muri. This Indian street food favourite is spicy, sweet, refreshing and will have you coming back for more. Find their location schedule on their Instagram page. Sriracha Fries, Salad Rolls, CrAsian Burger, Fish Tacos, this place has something for everyone. I had the burger with a gluten-free bun and it was delicious. Lucky for us we have two options to enjoy their tasty food. In addition to their truck that moves around the city, they’ve just parked a food cart at Kettle River Brewing giving us the opportunity to have a tasty bite as we enjoy local craft beer. You can find their schedule each week on their Facebook page. 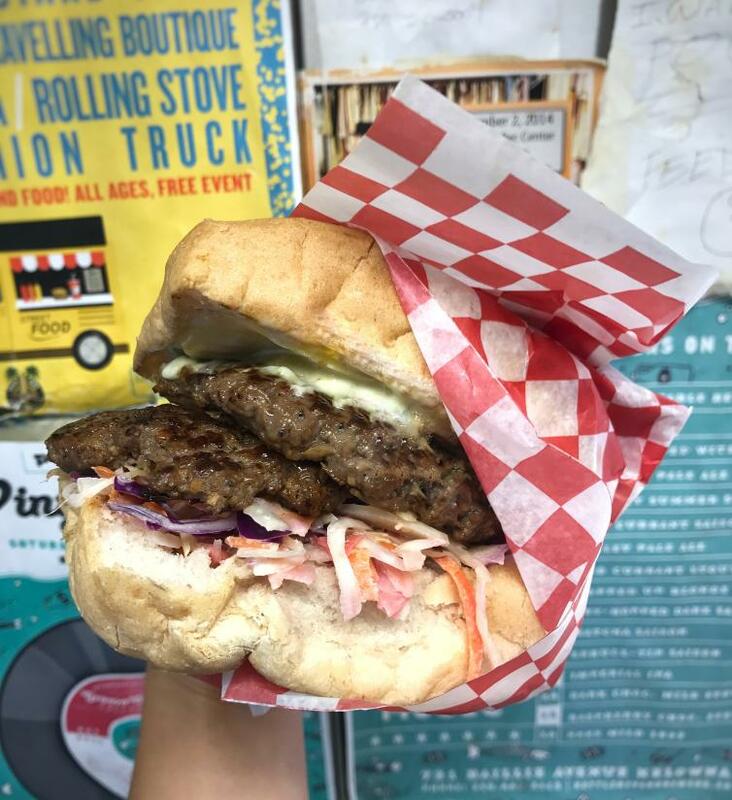 Iced coffees, handmade gluten-free tacos and huge burritos are on the menu for this food truck that you’ll find parked along 2330 Hwy 97N at ONE Boardshop Kelowna Monday to Friday from 11:00 am - 4:00 pm; then during the weekend, they travel the city making stops at various locations. They have picnic tables set-up so that you and the whole family can stop by, dig into some of their delicious tacos, then continue on with your day. Serving up gelato (of course) you’ll find more than just this cool treat on their menu, you can also enjoy paninis and cool drinks. You’ll find them in downtown Kelowna parked at Stuart Park all summer long. Be sure to try the salted caramel. Taco lovers will enjoy their wide selection including fish, shrimp, mole, calamari, pork and vegetarian. Can&apos;t decide which to get? No problem, you can pick your favourites and then mix and match. 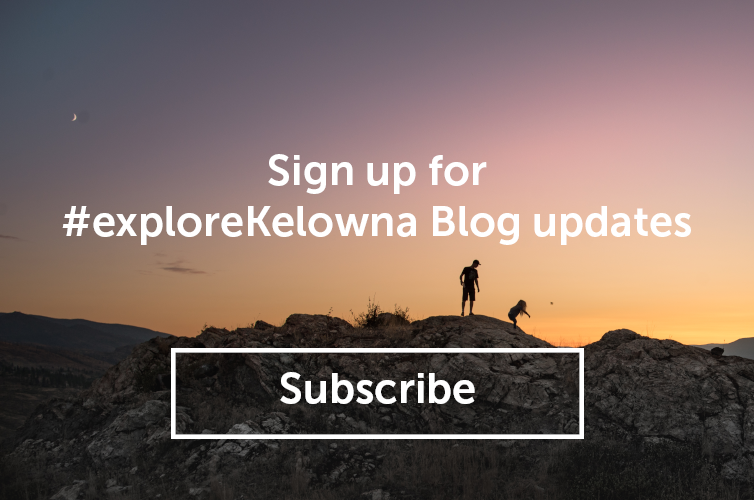 They travel around the Okanagan and people line-up for their tasty bites; find their schedule on their website.